The Tipshop site was updated again. Full list of changes you can read at the World Of Spectrum. The Tipshop aims to be the site for hints, tips, maps, cheats, hacks, pokes - anything that will help you play Spectrum and SAM games. Database size: 18350 entries for 4887 games. The new version by Chris Pile now finished and Steve (SPT) has kindly provided a permanent home for it on his Pro-DOS website. You can grab a copy of v2.0 here. — Retro green-screen look with funky flashing cursor - changeable of course! 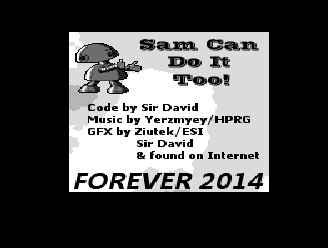 Another Forever 2014 demo, not shown because of hardware problems. Download it at the Pouet.net. Idea & code: Sir David. Simon Owen выложил обновлённую версию утилиты SAMdisk. Это утилита под Windows/MacOSX/Linux для копирования файлов с реальных дискет в образы и обратно. Поддержано более трёх десятков форматов образов. Database size: 18133 entries for 4803 games. Today, The Tipshop site was updated. Full list of changes you can read at the World Of Spectrum. Database size: 18111 entries for 4791 games. After amassing a huge deficit, the evil Sultan has increased the levy on imported cheese, driving many cheese sellers underground. There is now a gap in the market ripe for exploitation! Don your robes, fill up your cab and get cheese smuggling...err taxiing... for fun and profit! Database size: 18061 entries for 4772 games. 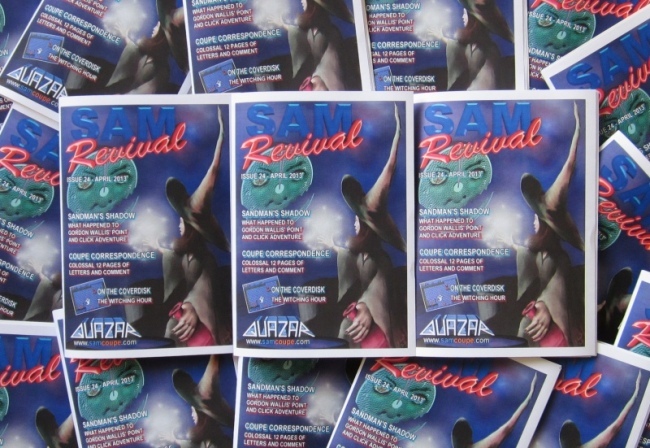 SAM Revival Issue 24 Now Out! - 40 pages packing in the news from around the SAM Coupé Scene. 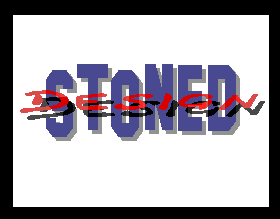 - What happened to Sandman's Shadow - information, screenshots and sketches from Gordon Wallis about the point-and-click adventure game he was developing back in 1992. - Developer Diary - Lots of info from SAM developers featuring a Space Invaders Arcade Machine Emulator (Simon Owen), Wubtris + more (Rob Evans). On the coverdisk you'll find the full game 'The Witching Hour' by John Vincent (who also painted the fab cover artwork for the magazine too!) There's also the preview demo 'Minutes Before The Witching Hour'. Issue 24 of SAM Revival cost £4.99 (including UK postage) or £6.99 (including EU postage). Order now! Nick Humphries sorted out an audiovideo-capture setup combined with SimCoupe to produce a set of videos which are the highlights of his memories of being a SAM user from the (almost) very start, right up to SAMCo going under. You can find the YouTube Playlist at YouTube. There should be something for everyone there. David Brant released the demo that he did a while ago. It's based on Colin Piggot's Fido demo. But uses external memory for extra speed and 1 pixel scroll. It was going to be in his mag but don't think it's going to happen. He wrote it to show how to get the most from JAM Assembler. It works with only internal memory as well. Strictly speaking, the demo was released in 2008, but officially published at Pouet.net just a month ago. Enjoy another nice SAM release. 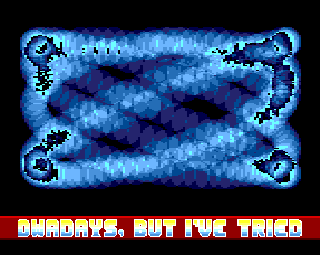 which even won the "Other 8bit demo" category". 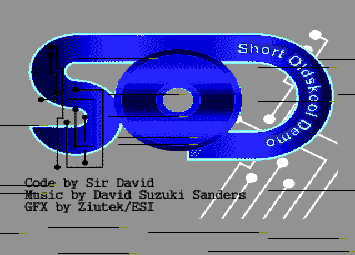 The name is "Short Oldskool Demo" and was done by Sir David. It can be downloaded at http://pouet.net/prod.php?which=61145. Dave Infuriators, a Speccy game that was covered here recently, was ported to SAM Coupe by its' author. If you're interested, make sure you visit this site in order to download the game. Today, The Tipshop site was updated. Full list of changes you may check at the World Of Spectrum. Database size: 17409 entries for 4581 games.